State Duma passes bill on closing criminal cases after damage compensation | Russian Legal Information Agency (RAPSI). 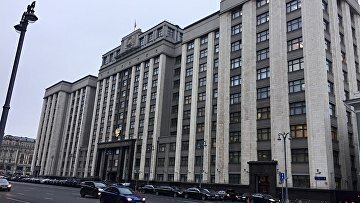 MOSCOW, December 18 (RAPSI) – The State Duma has adopted in a final third reading a bill envisaging the possibility for termination of certain criminal cases when the damage caused is paid. The draft law submitted by President Vladimir Putin is aimed at the further humanization of criminal legislation to minimize the risks of doing business in Russia and to create additional guarantees for protection of businessmen from unfounded prosecution. Amendments are proposed to Russia’s Criminal and Criminal Procedure Codes. Under the bill, criminal cases would be closed after reimbursement of damage caused to a person, company or the state. The list of such crimes includes fraud connected to premediated breach of contract in business; credit, insurance or computer information fraud; non-grave crimes related to copyright infringement, plagiary or violation of inventing or patent rights, non-serious embezzlement and infliction of property damage by deception or abuse of trust; nonpayment of wages, pensions, grants and others. Moreover, the legislative initiative prohibits detention of persons suspected or accused of abuse of authority in the business sphere. However, this ban would not apply to defendants in cases on illegal gambling activities.